What is the most cost-effective way to safely ship fine art across the country? First of all, you need to find a trustworthy company providing professional art shipping services at a reasonable price. Secondly, if you need an economical art transportation solution, look for reliable art shuttle services. Luckily, your options are far from limited! 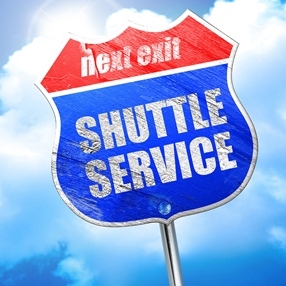 For today, there are many affordable shuttles operated by experienced art handlers, which circulate across the country every single week, including such popular options as art shuttle New York – Miami, art shuttle Chicago – New York, and art shuttle New York – Los Angeles. At Fine Art Shippers, we also offer a variety of art shuttle services to all the major art markets in the country. Whether you need a local, regional, or national shuttle, our modern fleet provides a timely and safe method of transporting every kind of art. Moreover, we have extended our services to provide a bi-weekly fine art shuttle New York – Miami, which is suitable for the transportation of both a single artwork and a whole collection of art. Our new fine art shuttle New York – Miami actually starts its travel from Boston, MA and covers New York, Pennsylvania with a stop in Philadelphia, Maryland with a stop in Baltimore, Washington D.C., Virginia, North Carolina, South Carolina, Georgia with stops in Atlanta and Savannah, and all of the state of Florida until it reaches Miami. It is needless to say that our vehicles are equipped with modern climate control systems, air ride suspension, satellite tracking, and they are fully alarmed, which allows us to offer a secure way to ship fine art and antiques from point A to point B. Besides, our fine art shuttle New York – Miami is indeed an excellent option to transport valuables and collectibles with minimal expenses and easy pickup. Plus, we provide a professional white glove art delivery service to meet the needs of the most demanding clientele. It is also worth noting that in addition to our fine art shuttle New York – Miami or any other shuttle services, we also offer expertise in packing, custom crating, and arranging art installations of any kind, so you can rely on our team to solve any of your artwork moving problems. What is no less important, Fine Art Shippers also specializes in the international transportation of art and antiques, with the ability to ship just about anything to anywhere. No job is too complicated for our team of experienced art shippers!